We are running out of “firsts” these days. The UFC gave us Ronda Rousey and Liz Carmouche. College football and the NFL gave us Michael Sam. Born Burton even jumped into a phone booth, transformed into Fallon Fox and beat up a girl in Idaho. Now, it’s getting downright impossible to identify an unrepresented group in a professional sport. 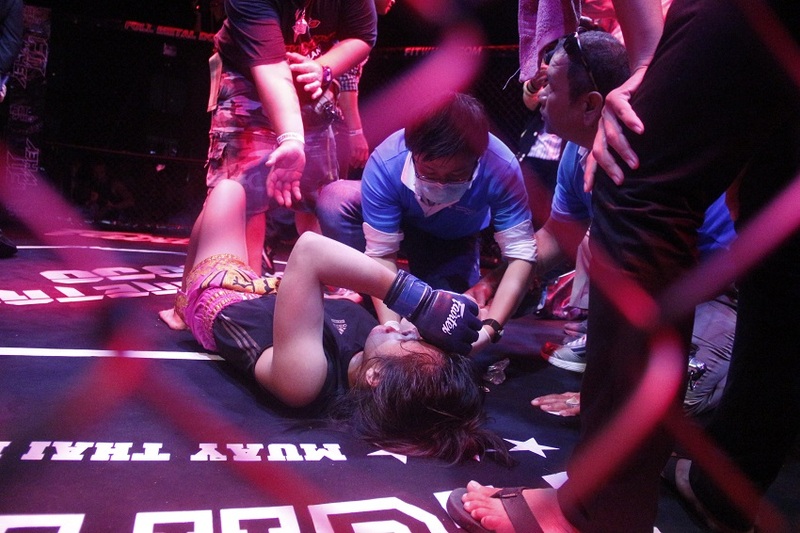 But against all odds, two Thai women had never fought MMA in their home country until last weekend. Suwanon “Pocket Rocket” Boonsorn defeated Kaejai Prachumwong in the second round at the Full Metal Dojo event in Phuket. “That was something that was super unexpected. She pulled it off so cleanly that her opponent’s arm popped and it was let go, proving once again that [Brazilian Jiu Jitsu] is making its way into Thailand MMA,” said organizer Jon Nutt.